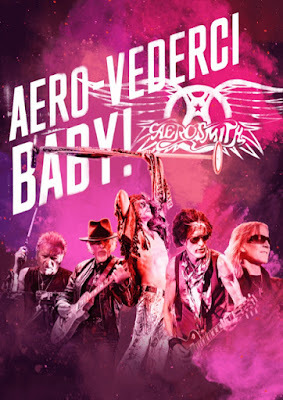 Aerosmith launched their farewell tour, “Aero-Vederci Baby!”, at Park HaYarkon in Tel Aviv, Israel on May 17 and video from the event has surfaced online. The Boston band’s 19-song set mixed classic tracks from throughout their career with covers of tunes by Fleetwood Mac (“Stop Messin’ Around” and “Oh Well”), Big Joe Williams (“Baby Please Don’t Go”) and The Beatles (“Come Together”). According to The Times Of Israel, Aerosmith performed before an enthusiastic crowd of 50,000 on opening night, which also marked their first concert in the country in 23 years. Frontman Steven Tyler battled technical difficulties with microphones throughout the show, with some reports suggesting a number of fans left early after being frustrated with the sound issues. Aerosmith announced the first series of dates for the farewell tour last fall, suggesting it will be an extended run that may last several years. The European leg – which wraps up in early July – combines headlining concerts with festival appearances, including UK’s Download, Spain’s Rock Fest, France’s Hellfest, Italy’s Firenze Rocks and the Sweden Rock Festival. A three-week South American run starts in mid-September, following which Aerosmith will return to the studio to work on a new album after postponing plans for a US tour later this year.